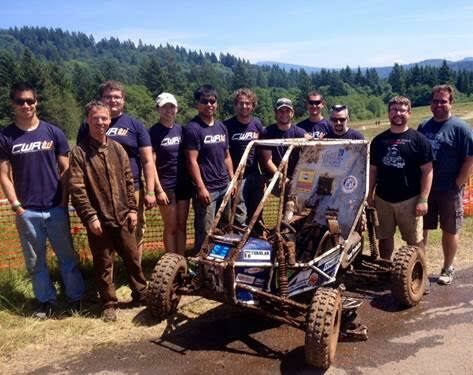 The 10-member Case Western Reserve University Baja Team competed in its third and final competition of the 2015 season on May 20 in Oregon, against 100 teams. It was an honor to help the team be a part of something so special, as this season they broke records of attending all three competitions for the first time in team history, and placing in the top 20 overall at one of them. This year’s vehicle design incorporated new CVT tuning technology, suspension geometry, brakes system, agile differential, reverse-shifting mechanism, and a compact, lightweight frame. We are very proud of the work that was put into the car, and its abilities in competition. We can’t wait for next season already!